We are now on FACEBOOK.Please visit our page and like us to get the very latest updates, offers and tips! Large selection of Daffodils, Tulips, Crocus, Alliums and Hyacinths. Fabulous range of colours! Hurry, don't miss out! Ideal for new lawns or patching up. Available in rolls covering 1 square metre. No minimum purchase quantity. Main stocking season March to Sept. Please telephone for availability. We are pleased to announce we are now stockists for PROTEK wood care treatments. Donington Nurseries has a wide range of colours from traditional browns and greens to more exotic shades of red, pink and peacock blue! Fashionable shades at present are black, cream and greys. Wood Protector and Tough Coat - multi-purpose and versatile for a range of outdoor surfaces, it rejuvenates old and tired looking timber giving an all year round colour that's strong and lasts. It's so good it will even adhere to masonry and terracotta pots! Tough coat is a clear hard wearing coat that acts as a protective sealant to garden timber. It can be used as a top coat to protect a colour underneath or used on internal walls and floors of timber buildings to provide a wipe clean surface. Decking Stain - Protek decking stain has been specially formulated to give all types of external timber decking an enriching colour that is hard wearing and lasts. 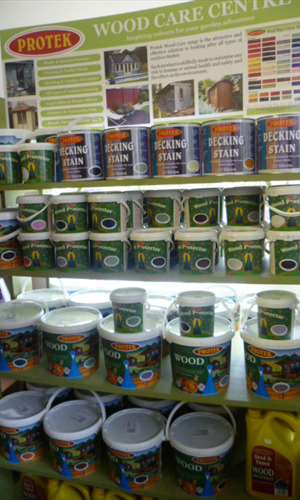 This waterproofing stain can also be used to colour and protect hardwood and softwood garden furniture and summerhouses. Shed and Fence - A time tested market favourite, Shed and Fence Wood Treatment is the cost effective wood stain that can be applied to planed or rough sawn timber. It contains wax additives for the extra protection of a water resistant coating. 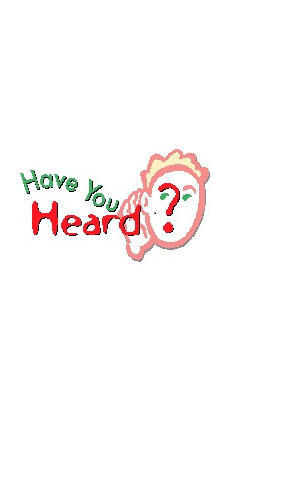 As it is low VOCs (volatile organic compounds) it is safe to use for animal housing from chicken coops to stables.